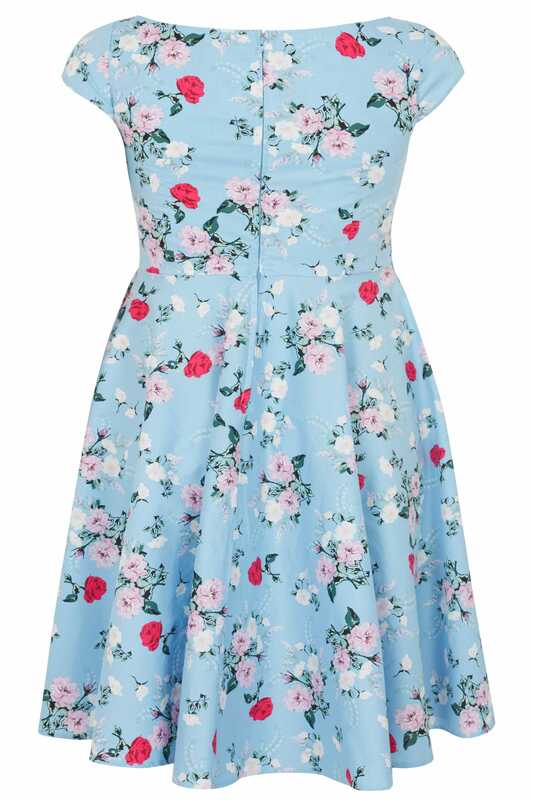 Add a touch of Fifties-inspired charm to your wardrobe with this dress. 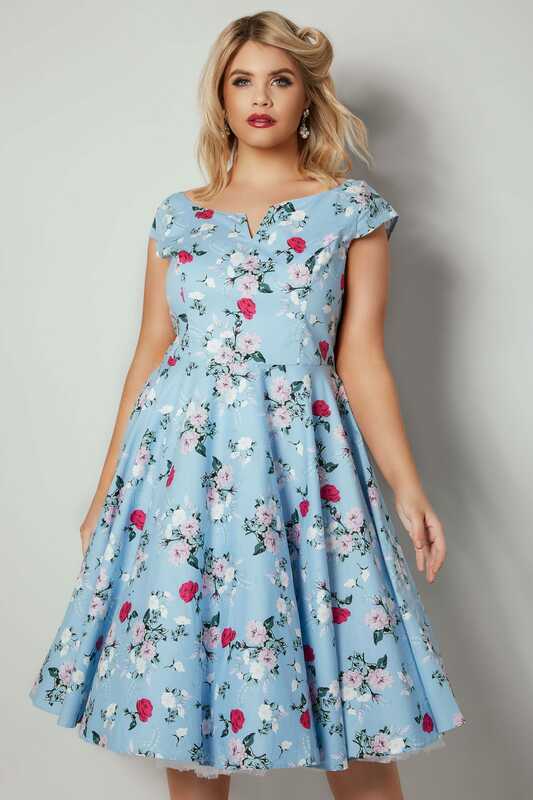 Cut to a midi length, it features a cut out v-neckline, a seamed waist with a pleated skirt and a secure rear zip fastening. Team with courts and a box clutch for an effortless look. 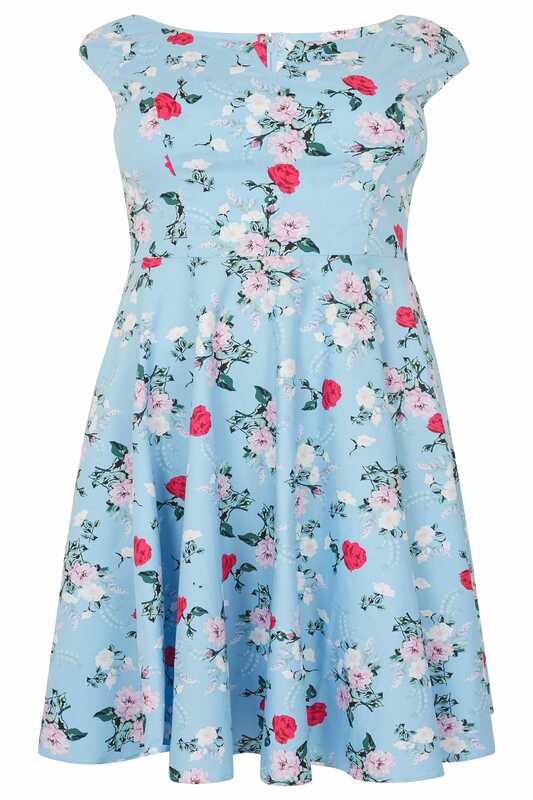 Loving its skater style and bold floral print.